I attended and spoke at the BBC 1 programme ‘The Big Questions’ today ). 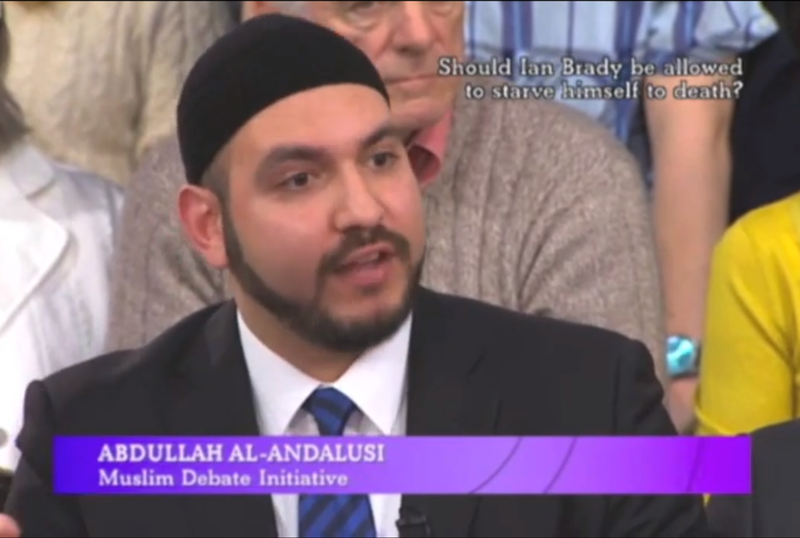 As per usual with the program, the Muslim voice on that show was intended, it seemed to me, to be a token one. I got the impression that the show was designed to attack any traditional religious viewpoints, and they did indeed pressure some Christians who represented such positions. 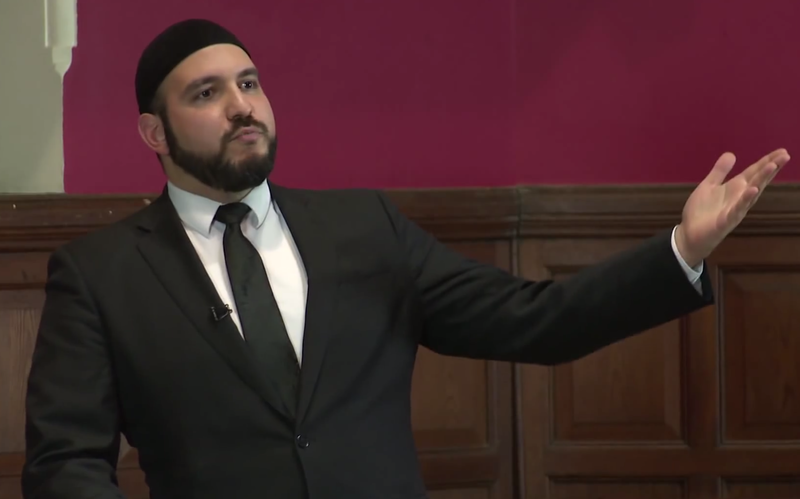 They wanted me to act the role as the ranting, closed minded and intolerant Muslim – and they threw tailored questions at me to elicit a predicted response. Suffice to say, I did not oblige them. So they tried to limit how much I could contribute (the show is more orchestrated a little, then it seems). This becomes noticeable when Nick Campbell (the celebrity show host) consistently cuts me off before I finish my full argument, and moves on to someone else, whom he gives much more time to elaborate themselves. However this being the nature of the game, I managed to interject quite forcefully some points to make the Islamic position decisively. I even managed to stump Nick Campbell who used an ill-chosen argument against me. I made a small comment about the contradictory nature and application of human rights, to grant prisoners a ‘right to die’ when they wish to starve themselves to death – because they should not lose their humans rights as they are still humans, yet deprive them of their human right to freedom. I was then going to go on to show that Liberal Human Rights is full of such contradictions, but was then cut off by the host. As for gambling, that was a little more interesting. Nick prepared the audience by saying that people do not want to see gambling banned ‘as some people here would want’, but whether some types of gambling activity should be regulated. Nick then came to me, but only after asking me to confirm that the Quran says Gambling is the ‘work of Satan’. I moved straight on to explain the wisdom (hikma) of the Quran’s statements, using simple observations and facts. Nick seemed to wish I just gave a purely dogmatic answer (presumably wanting me merely to say ‘it is just a sin – because God commanded it’!). However, I disappointed him by making a few strong points about Gambling being a parasitic industry on the economy, providing no benefit, and actually leading to harm over addiction and targeting of the poor. Nick then cut me off quickly again. Nick then went to another person, a pro-gambling advocate, who made a hilarious argument. I quickly interjected with a simple refutation, to which Nick Campbell intimated that using the same logic of my argument, should we not ban alcohol too?! To which I replied…Yes! He then realised his mistake saying his point was ‘the right question but to the wrong person’, and went to someone else. The final question was on whether people can pick and choose whatever they want to believe, while keeping their faith identity. Anyone who has watched the program before, will be no stranger to how it seems Nick Campbell tries to make orthodox Islam (and other religions) look intolerant and backward. He continued this by asking everyone the vague question: “Do you feel the truth of your spirituality?’ To which they responded ‘yes’, before coming to me and asking ‘what are they feeling?’. I got out of that Islam-baiting trap thank God, and made the point that truth exists outside humans, and is not subject to whatever we’d like it to be, and that there is a difference between truth and one’s personal sincerity. I continued by highlighting how Western society, while looking down on religious absolutes, holds ‘Human Rights’ to be an absolute value. I then followed on by saying the minorities have their beliefs dictated to, by the government. I was going to finish by mentioning the fact that Muslims are having their religion dictated to them, and conceptions of what it ‘moderate’ and what is ‘extremist’ thrust upon them – but I was quickly cut off, rendering my last statement partly unintelligible. I think it is beneficial for Muslims to try their best to express and advocate both religious truth and social critique on these platforms. And despite the fact that they will probably not be given as much time as others – especially when one has very controversial views, they should continue to do so when the opportunity arises.